– Briscoe started 12th and worked his way up to ninth on the opening lap, but scraped the wall the next lap and fell to 15th. – A caution with 13 laps remaining in Stage 1 allowed the team to pit for four tires and fuel. He restarted 18th and finished 13th in Stage 1. – The Nutri Chomps team started Stage 2 in ninth and finished 14th. – Briscoe and the No. 98 team started 11th in the final stage after a four-tire pit stop at the conclusion of Stage 2. – The No. 98 Ford was racing in tenth before a caution on lap 130. Briscoe came to pit road for four tires and fuel during the caution. 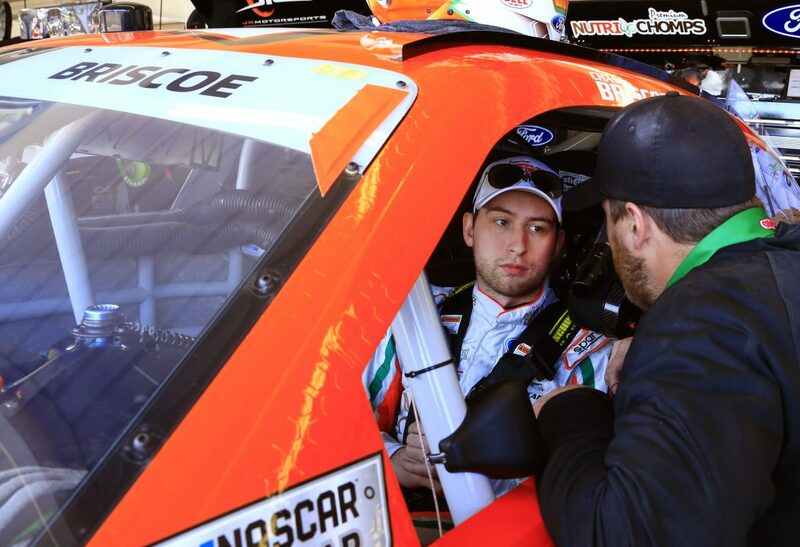 – A pit-road speeding penalty forced Briscoe to restart at the rear at the rear of the field. He advanced into the top ten with 32 laps remaining. – Briscoe gained an additional four spots to finish the race in the sixth position earning his second consecutive top-10 finish.